Bashful Cream Snow Bunny can't wait to skate, with those long creamy ears flying out behind! 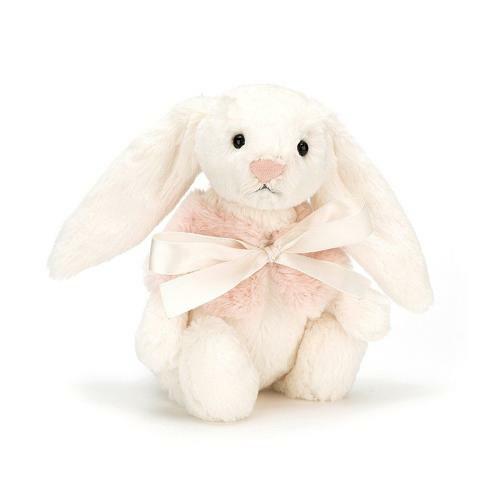 Wearing a cosy pink cape with satin ribbon, this buttercream cutie is a winter wonderbun! Squat and tubby with long, lop ears, Bunny's melting hearts from here to Lapland!